1.) 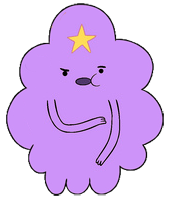 All of the characters from Cartoon Network’s show entitled “Adventure Time” are creative, but for the sake of the challenge, I’ll only take the Lumpy Space Princess. The Lumpy Space Princess is creative because of her stereotypical valley girl accent, an accent which I have never seen used so fearlessly in cartoons. The awkwardly low tone of her voice as well as her comedically censored vulgarity, despite being on a children’s network at 8:00pm every Monday, makes her daring and interesting. Where she lacks in physical character design, she makes up in backstory, wherein she lives on a distant planet as royalty, she has sharp fangs (if she bites anyone, that being will get lumpy and resemble her look and accent), and she is generally nice but can have a temper. 2.) Snoopy the dog from the array of Charles Schulz’s classic Peanuts characters. 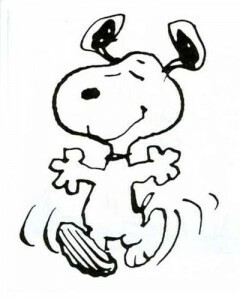 Snoopy is unique, because he speaks in rabbles, though through the pairing of strong emotional expression in his mannerisms, with his charisma, imagination, and dominance in the distribution of attention wherever he is, the other characters come to understand him. As for his physical design, he has a pen sketch influence, in which thickness of line, and hatching themselves play integral roles in how the viewer sees the character, and how his appearance marries his personality. 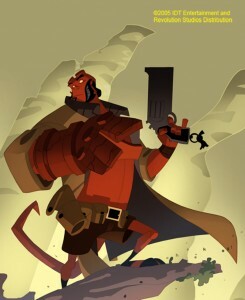 Hellboy is creatively designed, because his features are exaggerated and he is stylistically rendered. He is physically strong, which can be inferred from his general bold demeanor and dress, as well as his big barrel chest, tiny legs indicating agility, wielded weapons, and over-sized arm made of stone, all of which offer ample opportunities for dynamic posing. Also unique to his comic book character is a pastel palette of colors, which do not shy from accurate depictions of shadowplay. 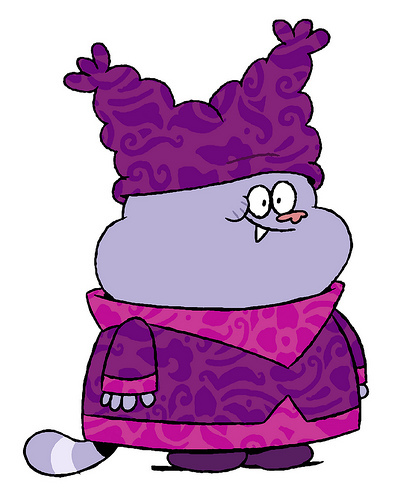 Chowder is one of many ridiculous characters from a ridiculous Nickelodeon cartoon of the same name, and his design was meant to, “…feel like a squeezy little stuffed animal without being any particular breed” (Greenblatt, http://bit.ly/bYOii7). He is unique because his look, unlike so many other viciously structured, “cookie-cutter” characters is aimed to, “…[feel] really colorful and alive…,” and to, “…recreate that feeling of taking you somewhere exotic and new, fun and silly” (Greenblatt, http://bit.ly/bYOii7). Finally, integrated within his character design are intricate moving textures for every fabric. Catbus is clever and new, because it is depicted as a living, communicating, hollow cat who serves as a brisk transport to anywhere, for the deserving, and can stretch to accommodate any amount of people or any type of terrain. It is complete with a furry exterior, extra legs, its shining, yellow eyes which act as headlights, and mice companions which sit both above Catbus’s shoulder area (to illuminate his destination sign), and by his rear to serve as tail lights. 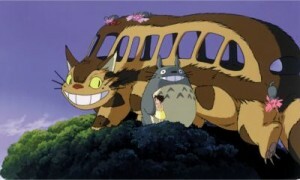 Catbus clearly oozes Miyazaki’s creative genius. This entry was posted on Wednesday, August 25th, 2010 at 8:16 am and is filed under Uncategorized. You can follow any responses to this entry through the RSS 2.0 feed. You can leave a response, or trackback from your own site.